Foster’s is giving consumers the chance to win a unique trip to “the thirstiest place on earth” – Ayers Rock, Australia – in an on-pack summer promotion in partnership with music and discovery app, Shazam. 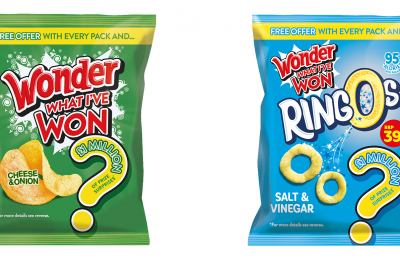 Running until August 31st, the on-pack prize draw means Foster’s fans who buy a multipack and ‘Shazam a Can’ could win a variety of items including chill disks, chiller seats and slings, as well as well as the ultimate trip to “the thirstiest place on earth”. Shoppers just have to scan the Shazam icon on the can with their mobile devices to enter the competition. They will be notified instantly if they have won one of the thousands of instant prizes. The winner of the trip to Australia will be selected via a prize draw at the end of the campaign. 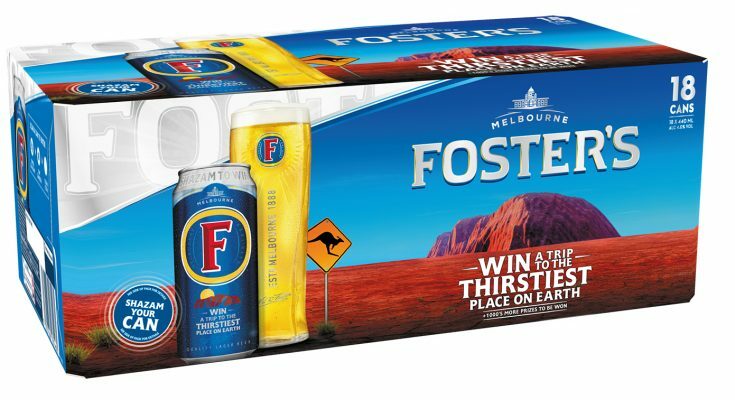 Foster’s says it is activating its “For the thirsty” platform throughout the summer months to drive penetration at a time when shoppers are looking for crisp, cool refreshment. Foster’s on-pack promotion is available across 4 x 440ml, 10 x 440ml, 12 x 440ml and 18 x 440ml can pack formats and also Foster’s single 440ml and 568ml cans. Heineken is the UK’s leading pub, cider and beer business. The company owns around 2,900 pubs as part of its Star Pubs & Bars business, and employs almost 2,200 people. Its portfolio of brands includes Foster’s, Heineken, Strongbow, Desperados, Kronenbourg1664, John Smith’s, Bulmers, Amstel, Birra Moretti and Old Mout, as well as a range of niche and speciality beers.